The topsy turvy cake, sometimes called whimsical, is a very exciting design! Click Here for cake view. Bring some excitement to your party! The cake flavors were chocolate, marble, and vanilla with buttercream icing. Yummy! We used our hand made marshmallow fondant to cover and decorate the cake. Everything was edible. 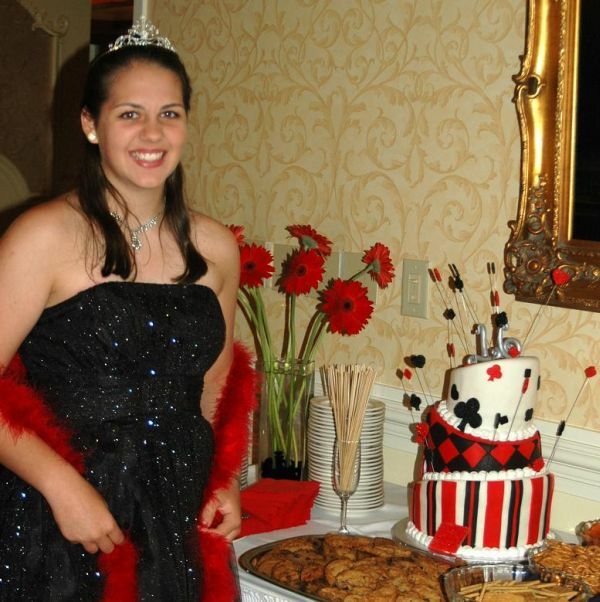 Loving parents Ed & Mary Ruth ordered this casino theme topsy cake for their beautiful daughter Sarah's special 16th birthday celebration. 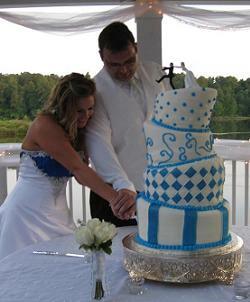 The cake flavors were vanilla and chocolate with butter cream icing. The whimsical cake was decorated with our hand made marshmallow fondant; yummy! 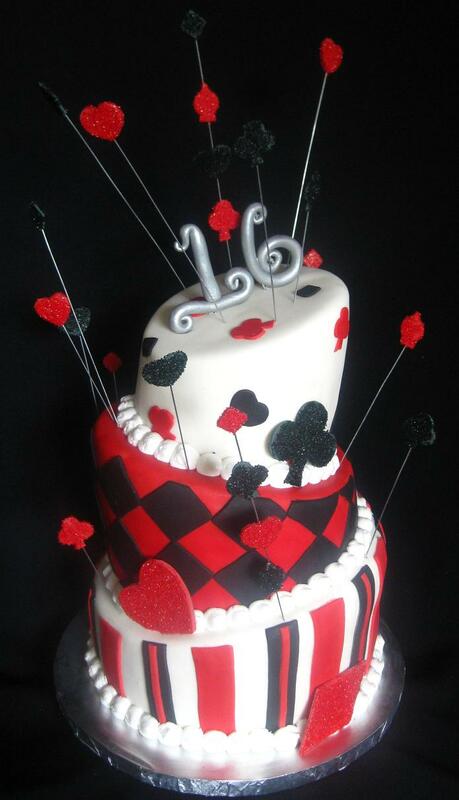 Working with the casino party theme colors of red, black, and white gave the topsy turvy cake a look that made a great centerpiece for the event. ”Hi Stephanie, the topsy turvy cake was ABSOLUTELY PERFECT, and my daughter LOVED IT! 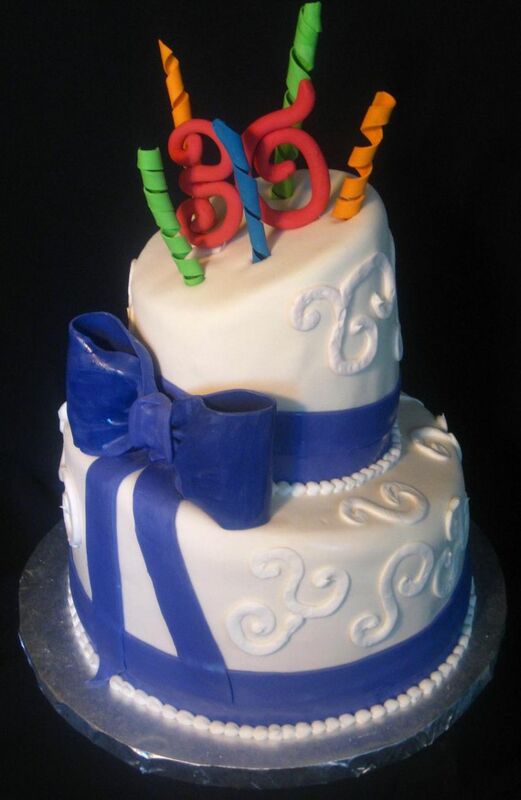 Email Steph about your topsy turvy cake here! 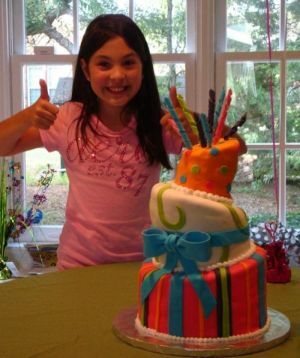 ”Stephanei, my cake video was very cool! You're so crafty and gifted; I'm jealous… but honored to have had that talent at our wedding. Both cakes rocked with their display and taste!” Velvet Lile – Raleigh, NC More Cake Pics From This Beautiful Wedding Here! 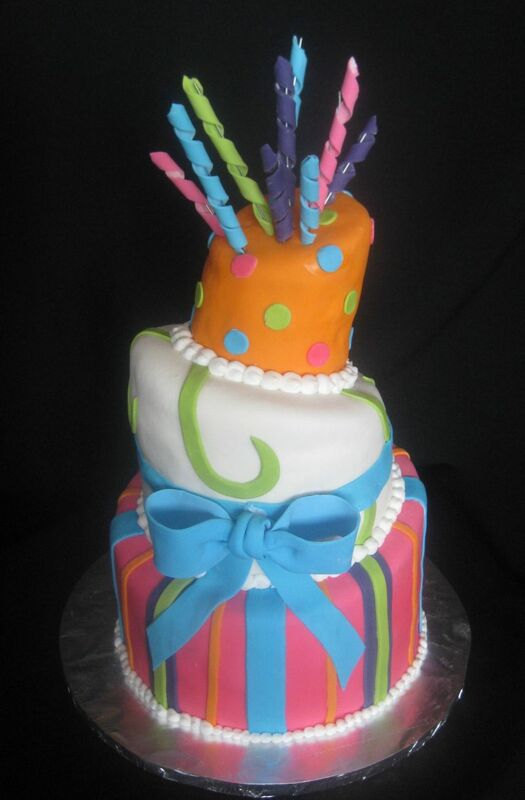 Stephanie B. from Raleigh ordered this special topsy birthday cake. 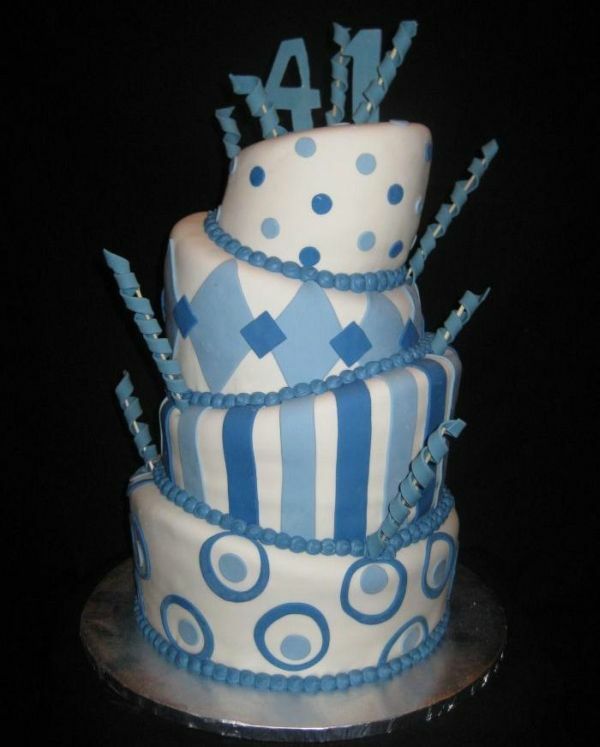 The topsy cake flavor was butter pecan and red velvet with cream cheese icing. Yummy! ”Hey Steph, I just wanted to send a quick note to thank you for the birthday topsy turvy cake you made for us on Monday. 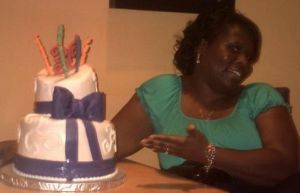 I wasn't able to see the cake in person but from the picture my aunt sent, it looked INCREDIBLE! She brought me a piece of cake back and I'm waiting non-patiently to eat it later today. From what I've heard, the cake was a hit and the birthday boy was definitely surprised! Thank ya'll so much for doing this last minute and being so nice! I'm looking forward to the birthday cake for my dad. I know he is going to love it.” Rachel -Raleigh, NC.